Additional server or component – choose this option if you are installing an additional server or component (Virtual Drive, Central Administration, contentWEB etc.) in an existing contentACCESS environment or in a cluster. Note: Cluster is a system consisting of multiple servers (nodes) tied to the same configuration database. In case that you are installing an additional server in a cluster, or a component in an existing contentACCESS environment (i.e. 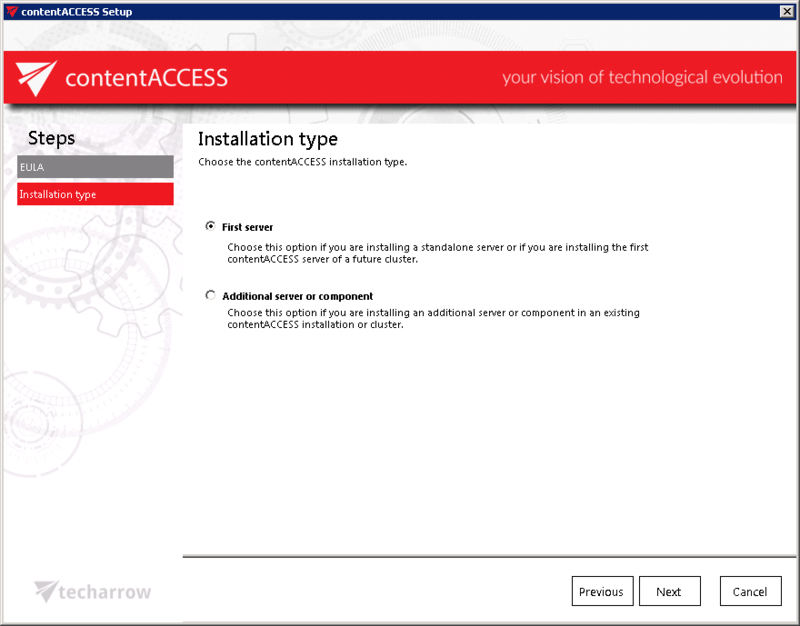 you marked the 2nd radio button), you will be required to set the connection with the already existing central database that you have specified at installing the first contentACCESS server. Test the connection and click Next.